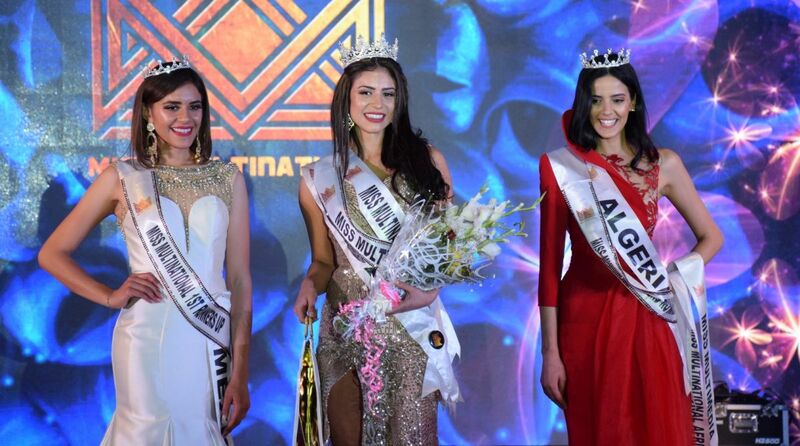 In an exciting finish to the finale, 22-year-old Daniela Nieto beat 25 contestants from across the world to win the pageant. Tania Mauricio, Daniela Nieto and Nihed Markria. Daniela Nieto from the USA won Miss Multinational 2018 held at NCUI, Hauz Khas. In an exciting finish to the finale, 22-year-old Daniela Nieto beat 25 contestants from across the world to win the pageant. While Tania Mauricio from Mexico won the 1st runner-up title, Nihed Markria from Algeria has been crowned the second runner-up. The crown of Miss Multinational 2018 was presented to the winner by Sophia Senoron, Miss Multinational 2017. The pageant saw an impressive line-up of judges comprising Nikhil Anand (Chairman, Glamanand Entertainment Pvt Ltd), Sandeep Marwah, Nikita Anand, Dr. Varun Katyal, Rekha Vohra.